Every morning you wake up and are doing things that you feel you should be doing and not want to be doing, you are spending your day pushing against a brick wall. Even if you are doing something you once loved, if you are doing it now because you think you have to be doing it and that you can’t stop doing this, then you are pushing against a brick wall. What is this brick wall? How many of you are pushing this brick wall because you feel as though you have to, you have been told to, it’s what everyone else is doing and it is the only option? How many of you have sacrificed your joy to push a brick wall? What is behind this brick wall for you? Is it a dream house, a quota of sales, the perfect relationship, getting your lateral work, starting collection, reaching a level or making it to that competition? Is it a past event, preventing the shy from happening, not walking down a crowded street, running away from riding in that corner of the arena? The thing with fear is that very often it is not presenting itself from a level that someone is aware that they are afraid. In other words most riders are not even aware that fear is present in them. I had a student who’s horse came up lame before or at every competition, it only came out later through her coaching that she was afraid of whether she was capable of doing that level. Her fear was sabotaging her attempts of going out there and it was being expressed through her horse with its lameness. It wasn’t until we worked through her confidence issues and that she began to slowly build up solid work at home, that she began to approach the competitions from a different perspective. After this the lameness issue no longer presented itself. All of these things that we are afraid of or feel we have to do, is not causing fear within us, they are bringing out fear that was already in us and bringing it to our awareness. 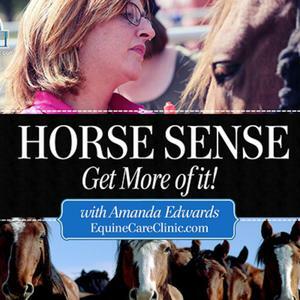 To give you the basic understanding of fear all you need to be aware of is there is a reason behind everything that is happening with your horse, physically, mentally and medically as well. The basis of our fear may not even stem from riding but may be in other areas of our life but riding is bringing them to the surface and helping us to bring them to the light and grow from them. Fear is expressed and shown with, stress, worry, anxiety, doubt, unable to make a decision, lack of confidence, feeling blocked – mentally, emotionally and physically- denial of having any fears and the need to control. Fear is force and urgency. Wisdom and love is patience and understanding with positive action. Nothing is urgent in riding except when we are afraid of an outcome. When you find what is happening threatening and are not able to come to accepting what is happening as a good thing, this is fear working under the surface of current situations. No matter what you do, the outcome will not last. Experience and training with solid foundation overrides all urgency and fear and allows for the full potential of the horse and rider to begin expressing itself, with results that last. Why did you begin riding? Are you still doing it for that reason? Now ask yourself, why is the thing I am urgently working towards urgent? The secret to overcoming fear is to be the controller of it, this simply means to become aware of your fears and through this you come to realize that you are the creator of your fear and not its victim. I had a student who came to me suffering severe bouts of fear that had escalated to maximum and caused her deep distress just to get on her horse. This would ease when she was finally able to get herself mounted but would reappear throughout her ride, sometimes completely stopping her in the middle of a ride where she was so overtaken by fear that her body was no longer in her control and would be seized by anxiety and emotion. 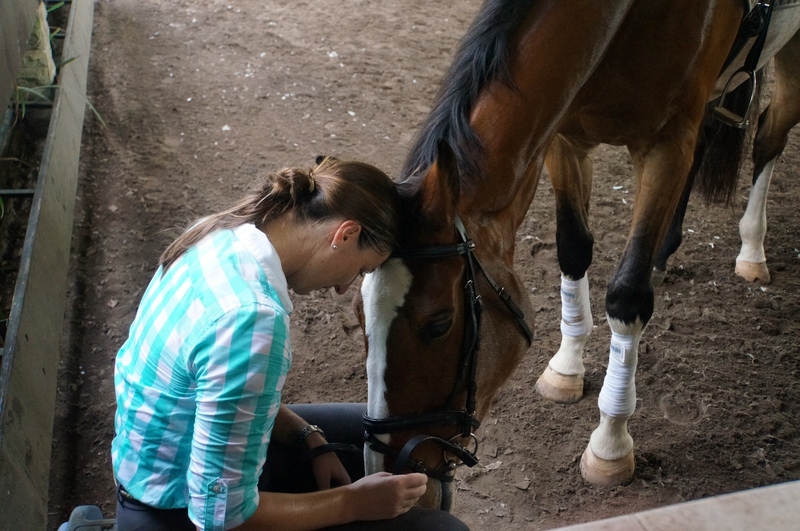 We began to approach this by walking around the arena together, all three of us, the student, her horse and myself. While we did this we went through a process of her thinking about how she felt when she was afraid, to actually mentally think of doing something on her horse that made her the most afraid and to not just think about it but to intentionally bring her fear out and feel every emotion of it. This would happen until she would be shaking and crying all while walking around the arena, unmounted. This continued until she was consciously creating her own fear and with the awareness that she was actually making it happen she began to be able to turn it off at her will. (Because her fear had already brought itself so clearly to the surface and she had fully accepted that she was overtaken by fear, this transformation was possible). Whenever her fear came instead of being afraid of it being there we actually made her make it worse. What you resist persists, what you look at goes away. Her fear of her fear was just fuel to the fire but by using the power of awareness and actually going straight to her fear, she was accepting what is and no longer fighting against what was happening, this was like putting water on the fire and it went out on its own. This slowly progressed over many months until it was no longer present before the ride, then no longer present in the walk, then trot and then eventually the biggest place her fear was connected to, in her canter. 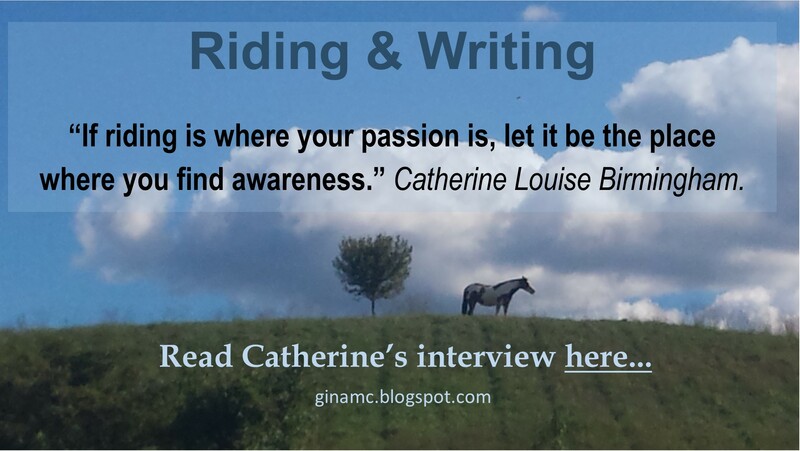 This remarkable woman is now an active rider and competitor, when she was once shown the way to mastering her own fears she took the initiative to create change within herself and grew beyond her once crippling limitations. By taking her power into the driver’s seat she found out where she could go with her hands on the wheel. You too, can grow beyond anything that is stopping you. Whether it’s horseback riding or any other wall you are facing, this gal makes perfect sense.